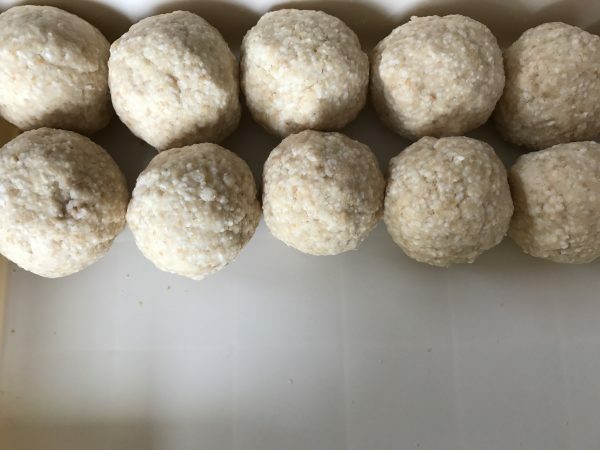 I made 2kg of miso paste from scratch in a miso cooking lesson. 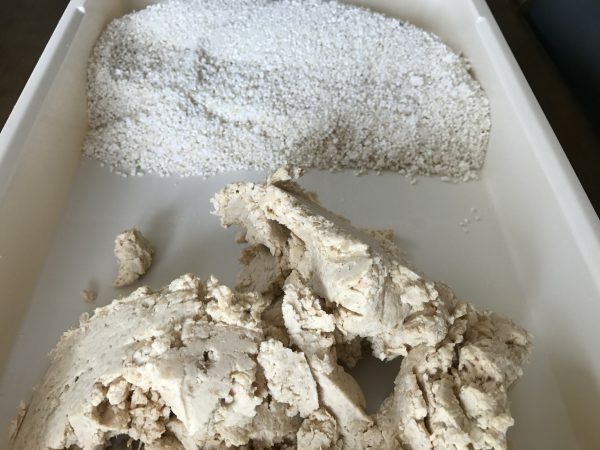 ① I mixed the yeast plants and salt together by hands thoroughly. 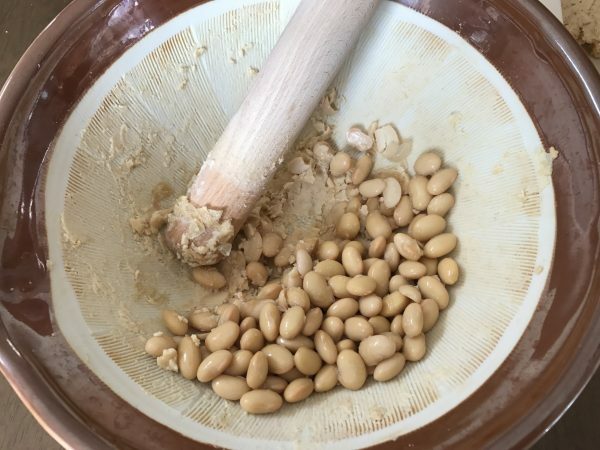 ↓② Grind the boiled soy beans in a suribachi bowl. ↓③ Mix 1 and 2 together. 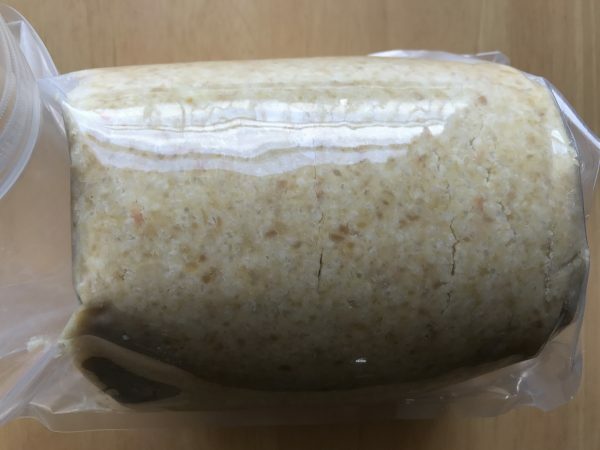 ↓⑥ remove the air and seal the miso in the bag. It needs more than 3 months to ferment. The teacher said I would have to wait for about 6 months in total before I can eat it. The color of the miso is going to turn brown slowly. I’m looking forward to the day when I can eat the miso paste. 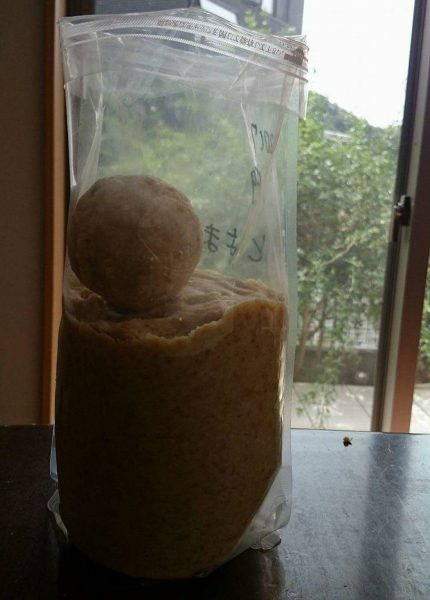 I am going to keep watching it ferment everyday and from time to time, release the air from the plastic bag. I made some miso paste 3 years ago, so this is actually my second time. Last time was a huge success and we ate them all. It made really wonderful miso soup. Making miso reminds me of taking care of pets. It takes some effort and attention to care for it, but the whole experience is also very rewarding. It is going to take a long time before I can taste this second batch of miso paste. I hope this will be just as good as the first time. #825 Ichiro, thank you for all the joy you brought us!